Open SkyTools3 and display the target object in the interactive diaplay. 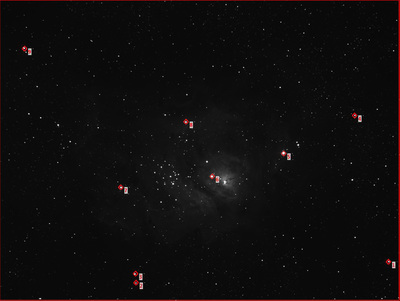 Show SkyTools3's camera frame suited to the R200SS and Atik 383L+ combination. Zoom the display and move the camera frame until the target is nicely framed occupying most of the display screen. 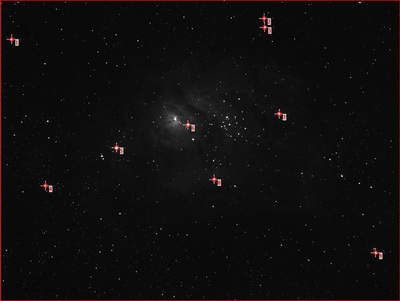 Use SkyTools3 to slew the telescope to the target object. Use Artemis Capture to create an imaging map by marking selected field stars in the camera display. Save the imaging map for repeated use with other filters. If this is an exposure for the second, third, etc. 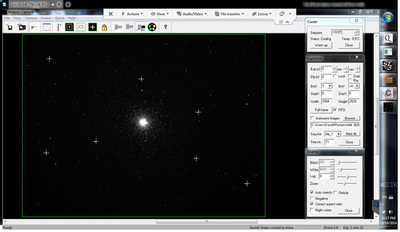 filter retrieve the imaging map previously created for this target object. 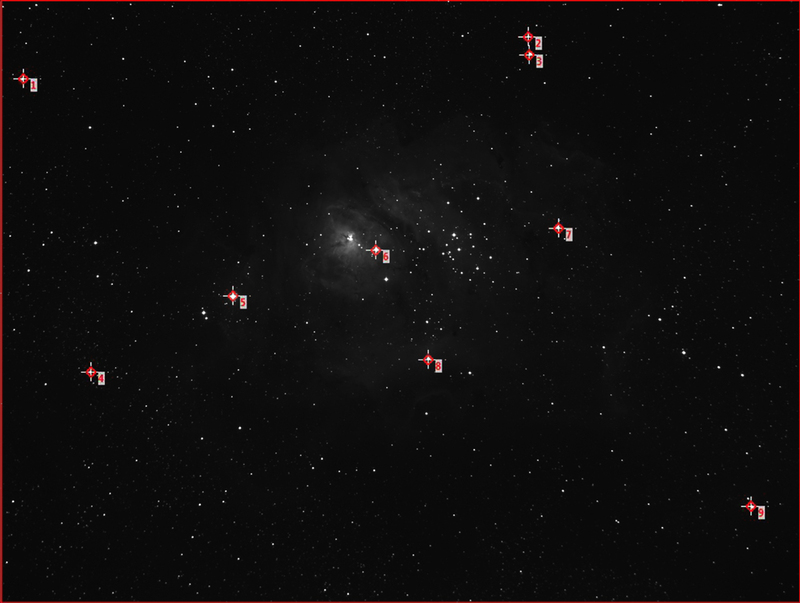 Complications can arise when using an imaging map to frame a target object both before and after a meridian flip. This is because after the meridian flip the camera sees, and the camera display naturally shows, the target object upside-down as compared to its view before the meridian flip. 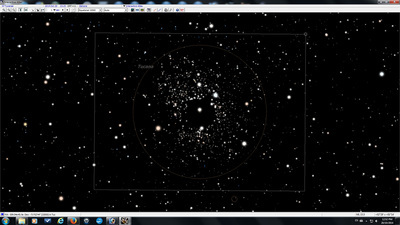 But the imaging map created with Artemis Capture cannot be turned upside-down to match this reorientation. Artemis Capture does offer a solution by re-rotating the screen display of the camera's image back to its pre-flip orientation but unfortunately that causes complications later when the captured image is being calibrated. The easiest solution I found was to write a small program called Imaging Map that creates an imaging map that can be rotated 180 degrees at the user's option, (see Own Software). This allows the same imaging map to be used both before and after a meridian flip. And since no artificial re-rotation of the camera's image is involved no later complications arise when the captured images are calibrated.